Here at Total Image Supplies, we're proud sellers of printing products like Canon's range of wide format printers. While we recognise Canon as industry leaders, we've taken note of a few common Canon printer problems our customers encounter. The problems that we've found aren't necessarily caused by product design faults but rather, in some cases, product misuse. In other cases, it's often a matter of customers not being aware of the great product features which can solve their Canon printer problems. So, we've created a troubleshooting guide to help you identify any possible issues. With our handy tips on how to solve these common printer problems, you'll enjoy a more seamless user experience. Contact Total Image Supplies today for more expert advice on solving your Canon printer problems. Are paper jams one of your Canon printer problems? If left unchecked, your business could end up wasting loads of valuable print media and ink. Paper jams are especially problematic when you've set out to produce a large print run. It's easy to set up a printing job only to find out hours later that it failed halfway through. Paper jams can waste valuable time that your business needs to meet its production goals. One of the most common causes of paper jams is curling print media. Curling often occurs when the ink on the paper is simply too heavy for the paper it's printed on. That's why it's so important to use the correct print media for the work you're producing. 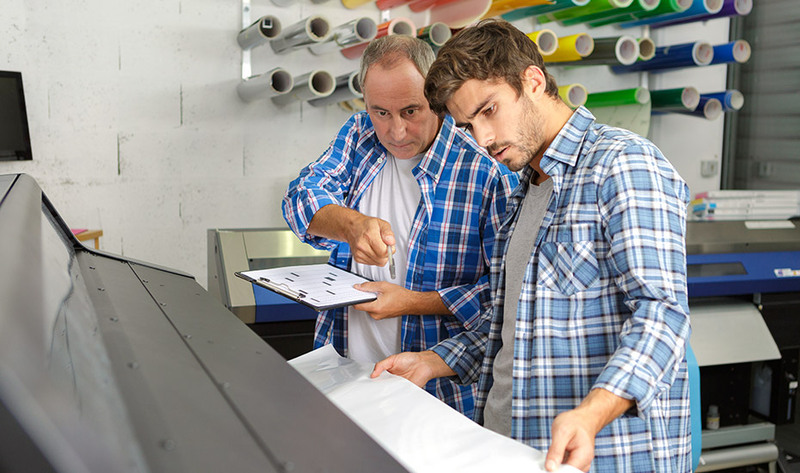 When you're printing a large number of posters, you need a strategy in place to ensure they stack neatly. Without an efficient stacking system in place, your print media could stack incorrectly and cause a paper jam. One of the easiest ways to counter curling print media is to use a heavier alternative. Thicker print media is generally heavier and sturdier. A heavier print media is less likely to get weighed down by an excess amount of ink. Keep this in mind the next time you try printing a large graphic poster or schematic. Incorrect stacking of your prints can also result in a paper jam. That's why it's essential to utilise your Canon printer's catch basket correctly. Align your catch basket according to your specific needs. If you require your prints to be moved straight onto a finishing platform, consider adjusting the basket to a flat position. Delicate media such as a fine art prints may require a different basket position. Consider adjusting the basket to a better angle for protecting the media as it emerges from your printer. Pick an angle that enables a steady path for the media to come out of your printer without creasing or jamming. Accurate colour calibration is vital for reproducing your imagery the way it was originally intended. Knowing how and when to initiate a colour calibration can solve a lot of your Canon printer problems related to accurate image reproduction. In most cases, poor colour reproduction comes down to inaction from the user. 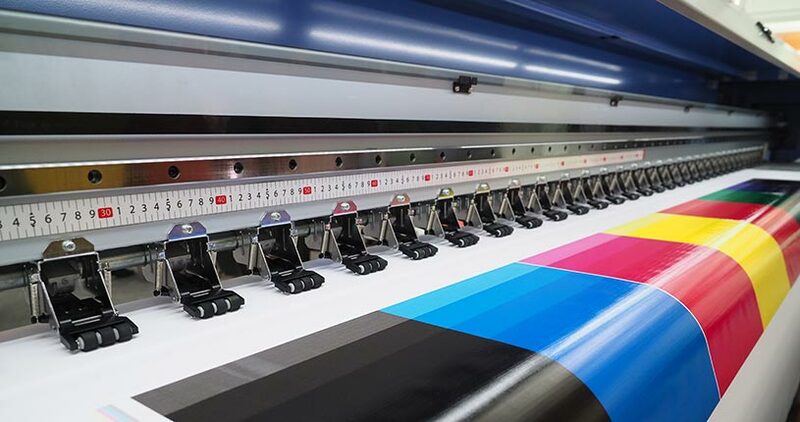 Colour calibration is traditionally a slow process with most wide format printers. So it's understandable that some users choose not to initiate a colour calibration, as the whole process can eat into valuable production time that businesses simply can't afford to waste. Colour calibration should be done whenever a new roll of print media is installed on your printer. Rolls of print media each have their own finishes, such as gloss or matte. Finishes can have a significant effect on colour reproduction. Most printers require a spectrophotometer and several calibrations for each print media and print mode. Canon wide format printers feature a built-in colour density sensor. This sensor only requires you to calibrate for one media type. With Canon's built-in colour density sensor, it can take as little as 10 minutes to perform a colour calibration. Small and easy adjustments can then be made in the future whenever print media is changed over. Is data security a major concern for your business? 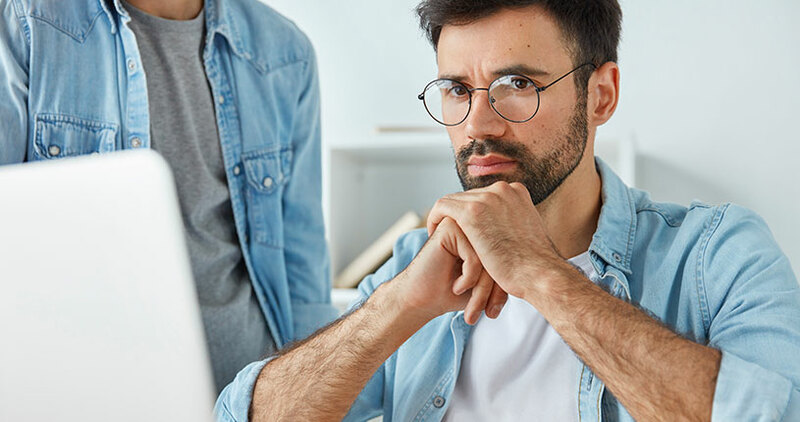 While this issue isn't generally considered to be an obvious Canon printer problem, security is a major concern for any business. Classified plans and blueprints should be treated with the same high level of discretion—whether they're being stored on your computer, network, or printer. A data security breach can occur when proper security measures are not taken into consideration for imagery. That's why it's crucial to have a set plan in place for storing your imagery. Try and identify the methods of storage your business utilises for imagery. Formats such as cloud storage and external USB devices can be prone to security breaches if not utilised correctly. Canon wide format printers come with a range of data storage and sharing options. While these options can streamline the whole printing process, they should be monitored for security purposes. Canon models like the ImagePROGRAF PRO-4000S feature a 320GB hard drive for spooling large data files and handling heavy print traffic. To prevent data breaches by a third party, you can take advantage of Canon's secure disk erase function, which enables you to erase data depending on your safety requirements. Select Canon models also have the added feature of setting a security password for its USB and network port functionality. This feature enables you to restrict access to the printer's network and storage settings; it also enables you to prevent unauthorised copies of prints being reproduced. If your business has encountered Canon printer problems, don't let them affect your productivity. Get in touch with an expert who can provide you with solid maintenance advice. Sometimes the most complicated issues require a very simple solution. So, don't hesitate to contact our Canon printer experts. Here at Total Image Supplies, our service doesn't end after your printer purchase—we provide after sales support when you need it the most. Whether it's by phone or email, we can offer you free advice for any Canon printer problems you may encounter. 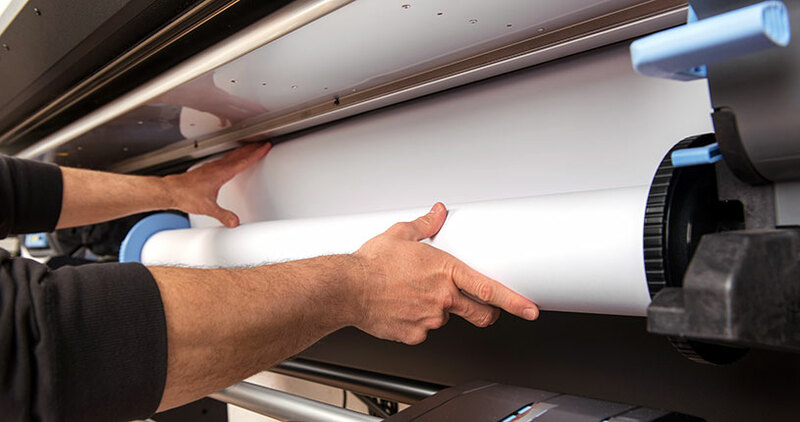 Get in touch with our print experts for more Canon wide format printer maintenance tips.